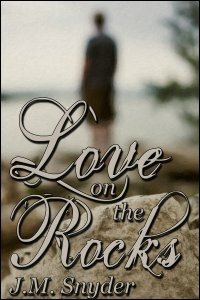 Love on the Rocks is a box set containing 7 gay romance stories of angsty love. The men in these stories have to work for their happy ever afters. Loving another isn’t always easy. When romance first blooms, everything seems perfect, but soon the veneer peels away and trouble sets in. The stories in this collection focus on gay men who try to make their relationships work in a world intent on pulling them apart. A young man brings his first boyfriend home to meet his parents, even though he’s terrified of his father’s reaction. A flirtatious coworker sparks a fight between two committed men. A cam whore is tempted by an online admirer who tests his love for his boyfriend. The men in these seven tales are in relationships for the long haul, if they can learn how to make things work. They all want to live happily ever after … eventually. I’ll Take the Rain: My boyfriend is the jealous type, and I always seem to say or do the wrong thing at the wrong time. Unfortunately, our roommate only sees us when we’re at our worst. I hope her misplaced concern won’t come between us. Or maybe it’ll be my own stupidity that tears us apart. We’re Not Fighting: Jack is in a committed relationship with Aiden and, in Jack’s mind, no one else matters. So when a new girl in the office flirts with him, he thinks it’s nothing. But Aiden is pissed. Jack wants the whole thing to blow over, but it looks like Aiden’s about to blow up. Crash and Burn: When Chris discovers his lover Aaron is secretly taking prescription drugs for depression, he feels as if he doesn’t know Aaron any more. He’s afraid to bring up the pills he found, but more afraid of losing his lover. Will he be able to step in and say something before it’s too late? Wanna Cyber? : Ritchie is a cam whore; he loves the internet. His boyfriend Doug isn’t exactly technologically savvy and is worried about what Ritchie gets up to online. He trusts Ritchie, really — it’s everyone else he isn’t too sure about. One evening while Doug is at class, he decides to chat up Ritchie without revealing himself to his boyfriend, just to see what happens. The response he gets surprises him. Picture Postcards: Donny has loved his friend Greg for years but never told him. They shared one brief night together before Greg married Megan and Donny … well, Donny tried to move on. He thinks he’s succeeded in relegating Greg to the past until he receives a postcard from his friend that suggests Greg still thinks of that night, too.